I can't believe that just yesterday we had 60 degree weather, and today we have a chance of snow! I am ready for spring! But that is not the reason for this post, though I do have a fun spring freebie for you! One of the things I love to do with students is to help them manipulate phonemes in words. 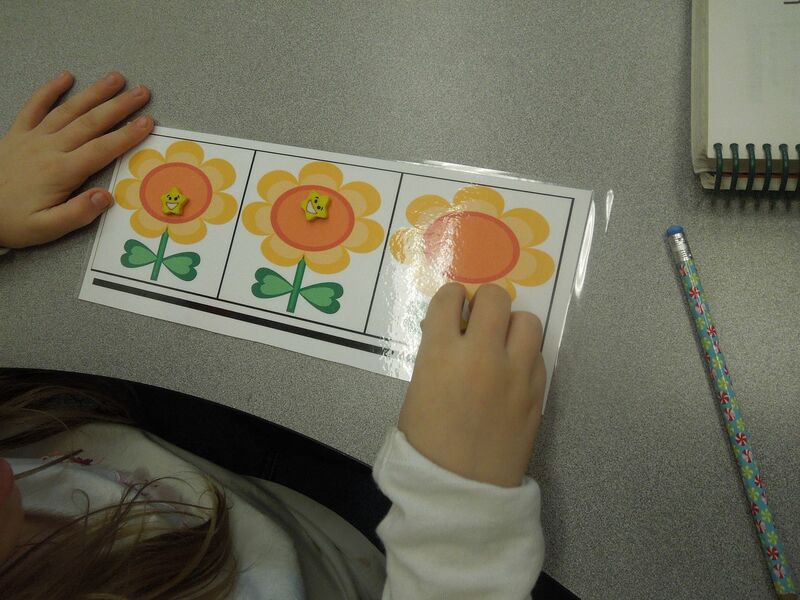 This helps them to think about the sounds they hear in the words and gain a better understanding of words. 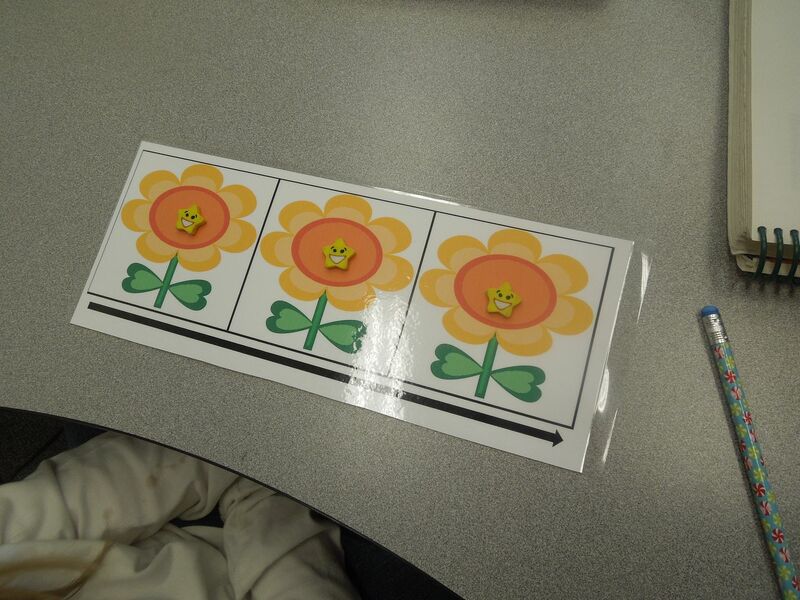 Using Elkonin boxes helps students to blend and segment sounds. Once the students learn enough letter sounds to blend words, we start with the sound boxes to Push the Sounds. You can use simple counters with the sound boxes, but I use either flat marbles or cute erasers to make it more interesting. 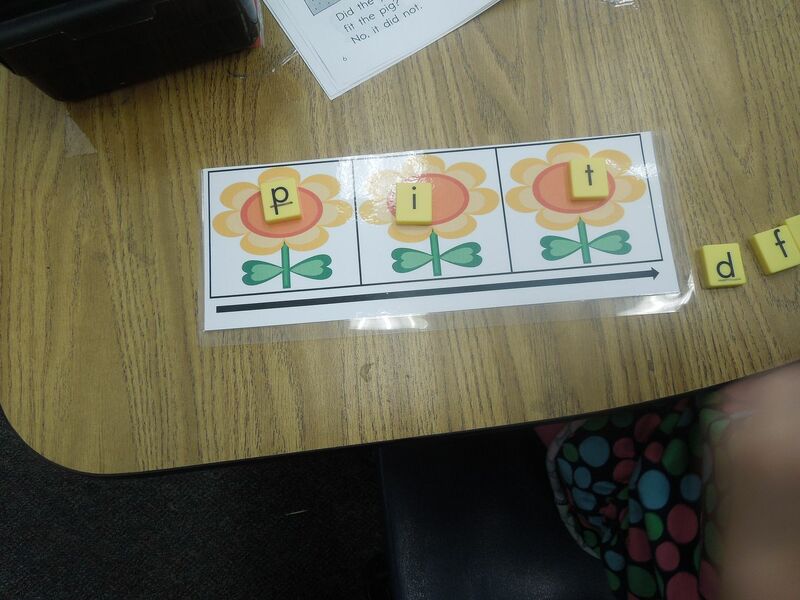 I call out a word, and the students "push" the sounds as they hear them to segment the phonemes in the word. Then we read the word together, focusing on that left to right progression. Here is a picture of what that looks like. I gave the student the word "hop", and she pushed each phoneme to make the word, saying /h/ /o/ /p/ as she pushed each star up. After the students have a grasp on segmenting the sounds, I venture into word families and letters. The two boxes would be the onset (first sound) and rime (word family) that students would have to segment. We manipulate the sounds by changing out the onsets and rimes to make new words. An example of this is using the -at word family. The student makes the word "hat". Then he or she changes the first letter to "m" to make and read the word "mat". 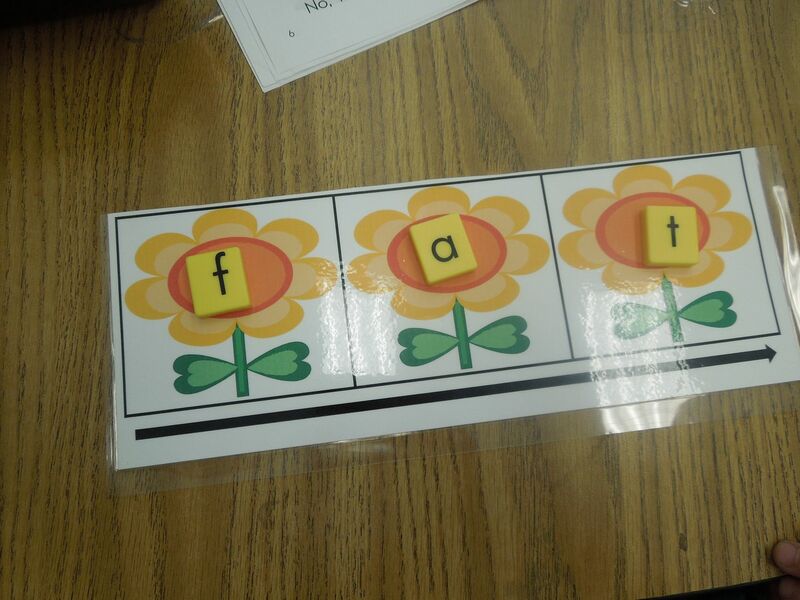 This helps them to build the words and adds a kinesthetic approach to words. Then I work on changing different parts of the words with various word families in three letter words. Here is an example. I gave the word "fat"
Then I called out "pit". Then we finished with "pin". The kids always enjoy doing this, and it leads to many other opportunities to work with words. There is a great article about using Elkonin boxes in different ways here at Reading Rockets. 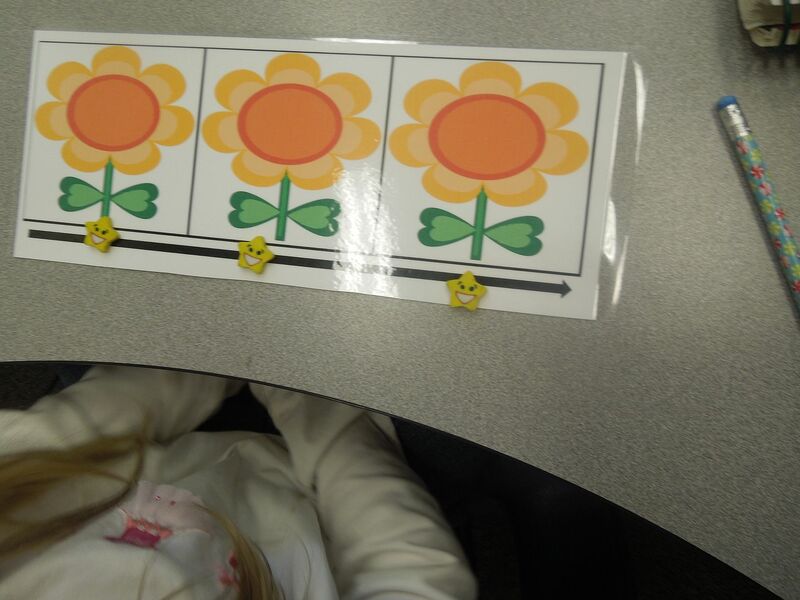 There are many things you can do with students to help them blend and segment words. This is a strategy that is not just for the struggling reader, but for every beginning reader. 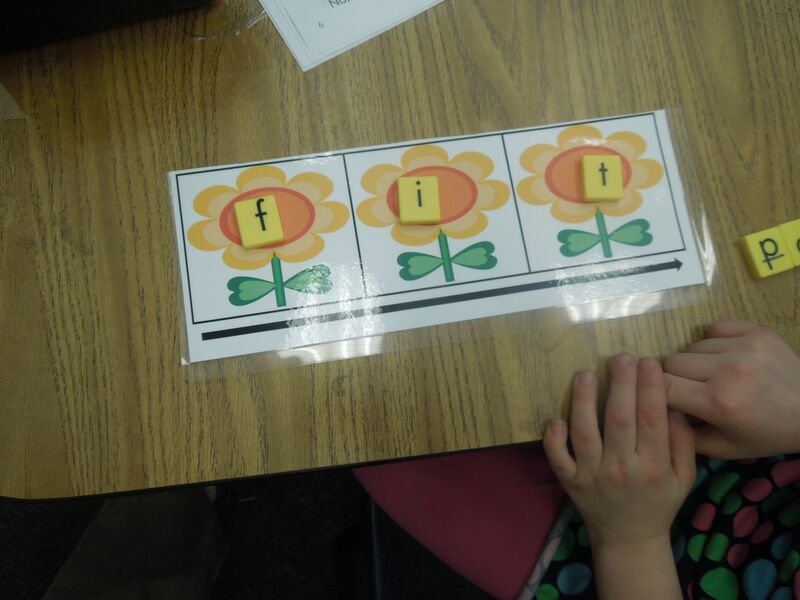 As students work in the long vowels with silent e, they are great to show what the word is without the e and with the e. The four boxes are great for those beginning and ending blends to for students to hear those sounds. Many times those n and m ending blends are hard to hear. "Pushing the sounds" helps them to actually focus on the sounds of the words and place them in the words. 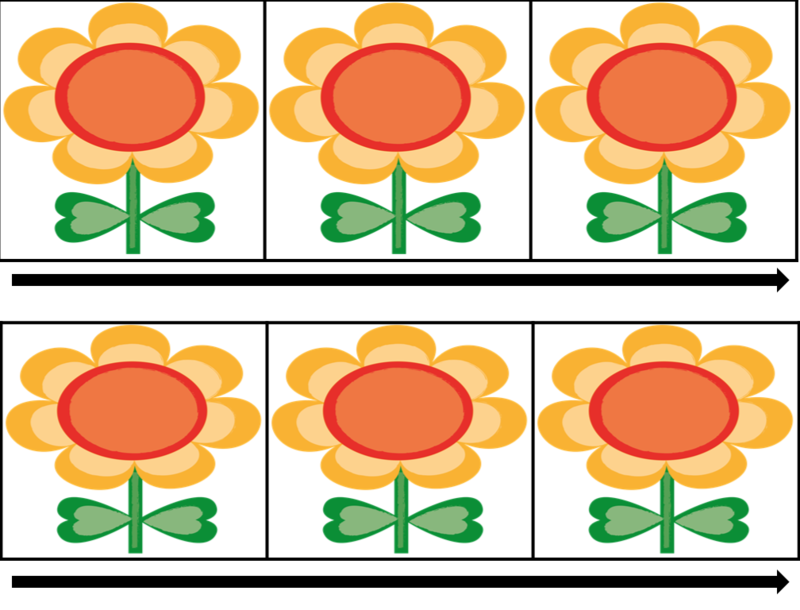 Click on the picture below to grab your own free copy of some spring sound boxes! 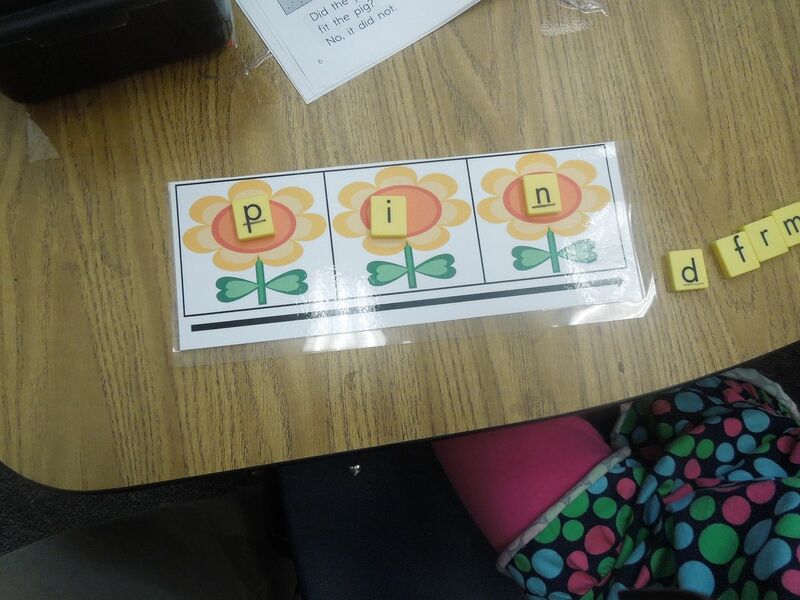 How do you help students who are beginning to read with hearing and spelling phonemes? Thank you so much for this great freebie! My kids will love the seasonal boxes. I love to make phoneme segmentation physical whenever possible. My kids love when I turn out the lights and they can use their finger lights to find each letter! I love the finger lights idea. My kids love using those too! I will have to try that too.